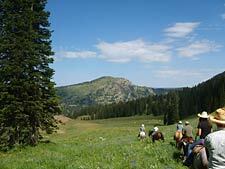 Our Wyoming Horseback Rides are packed with some of the best photo opportunities in the country! 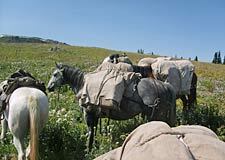 There are a lot of Horseback Trails to choose from, and all of them carry us through some of Mother Nature's most beautiful and inspiring territory. 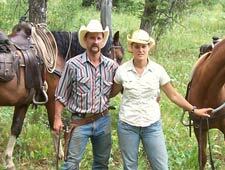 From the gigantic majesty of the surrounding mountains to the smallest of the colorful wildflowers and the bubbling music of the rivers and streams, a trail ride through this country will always be vivid in your memory. And if you didn't get enough pictures ... here are a few galleries of some of the best we've collected over the years.